Named after a 19th century mansion and farm that stood on the land, Chantilly was home to several colonial plantations. Conveniently located near several preferred commuter routes and 10 minutes from Dulles International Airport, as well as being situated in the Dulles Technology Corridor, Chantilly is a burgeoning area of growth and development. Straddling two counties, Fairfax and Loudoun, Chantilly covers 11.7 square miles of land. The development of several large master-planned communities and many commercial and retail businesses has grown so much that even the infrastructure has needed expanding, thus the Route 50 expansion project is well underway to accommodate all of the new residents in and around the Chantilly area. Situated only 30 minutes from Washington, DC, surrounded by historic Civil War Battlefields and the home of the Udvar-Hazy National Air and Space Museum, Chantilly has a wealth of activities for all interests. Chantilly was named after the Chantilly mansion built by Charles and Cornelia Calvert Stuart in 1817. The name “Chantilly” originated in France in a small village just north of Paris. Cornelia’s grandfather was Richard Henry Lee the statesman and signer of the Declaration of Independence named his plantation Chantilly and so it is thought that Cornelia chose the name for her home in honor of him. 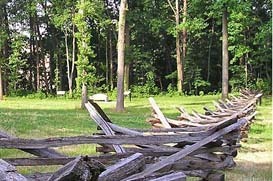 The plantation was later burned by Federal troops during the war, but the area retained the name. In 1862, the Battle of Chantilly was fought in the Civil War where Confederate General Thomas “Stonewall” Jackson prevailed. Today, there is no actual town center, but the area is generally centrally located at the intersection of Route 50 and Route 28.